St. John’s has been rolling, winning again in a rout of Butler on Tuesday, but they got some bad news prior to that game. Chris Obekpa, a shot-blocking machine, will be out for between 10-14 days due to an injured ankle he suffered in practice and will miss crucial games against Villanova and Xavier. Head coach Steve Lavin said about the matter: “Chris is a central part of what we do on both ends of the court. Our team will have to step up collectively in his absence.” The team will obviously miss his inside defensive presence, but with the way the Johnnies have been playing, they can still pull out two big wins in the coming week. The team has plenty of depth and God’sgift Achiuwa and Orlando Sanchez can fill in down low as capable replacements. Butler continues to struggle and Tuesday’s loss was another tough defeat to swallow for Brandon Miller’s team. After leading at the half by three, they were run out of the gym by the Red Storm, ultimately losing by 25 points. The team began conference play with a string of losses, but they were still fighting (several games went to overtime). Now, however, the Bulldogs are getting blown out in nearly every outing. Zak Keefer takes a look at what has gone wrong with this storied program. Kameron Woods was suspended prior to Tuesday’s game and Rene Castro declared he would be transferring away from the program last week. There is considerable instability within and surrounding this program right now, a major cause for concern. Miller has respect from his peers, but losing seasons don’t wear very well at Butler, even given the uptick in competition. Villanova took another team’s best shot and responded with a double-overtime victory on the road at Providence on Tuesday. ESPN.com‘s Eamonn Brennan takes a look at the team’s response to getting ripped apart by Creighton for the second time this seasson. As one of the premier teams in the Big East, the Wildcats are often going to get their opponents’ best shot. Jay Wright’s team has yet to lose a game this season to a team not named Creighton or Syracuse, something that should help them a great deal on Selection Sunday. Villanova’s big win was Providence‘s tough loss. In great need of a profile-boosting win, the Friars fought for 50 minutes but simply didn’t have enough to outlast the Wildcats. A win likely would have pushed them well into the projected field of 68, but instead they will have to be nearly perfect down the stretch if they want to play in the NCAA Tournament. Fortunately for Friars fans, coach Ed Cooley is moving on and ready to keep fighting. He said after the loss: “We can put our heads down and feel sorry for ourselves, but at the end of the day we have to get back up and get ready for Butler on Sunday. I know a lot of people are disappointed. I know our fans wanted to win, everybody wanted to win. But you’re playing a top 10 team coming off a loss. Give them credit. They’re a great team.” The Friars have three very winnable games with Butler, Seton Hall, and Marquette coming up, but their season finale at Creighton could be the one that solidifies a postseason berth. It has been a rollercoaster season for Marquette and head coach Buzz Williams has turned to a number of different lineup combinations to try to find the players who can consistently score. Paint Touches wrote about the lineup that has been most effective for the team this season. Williams turned to that group on Saturday in a big win over Xavier, but unfortunately, the Golden Eagles followed up that win with a tough loss to Creighton Wednesday night. The lineup is equal parts positives and negatives. Derrick Wilson and Jake Thomas have their bright spots but usually do not contribute much offensively. Todd Mayo and Jamil Wilson are solid offensive players, but they are both inconsistent and prone to silly mistakes. Davante Gardner is the team’s best player, but he struggles on the defensive end of the floor. Together the group seems to fit well and complement each other’s strengths, but Marquette, like Butler, isn’t used to being in this position. What an opener for the new Big East. The league had two overtime thrillers, there was an upset, and all three of the new members impressed. Here are some takeaways from a great day of hoops. St. John’s is great in transition, but struggles mightily in the halfcourt: The Johnnies rushed out to a big lead in the first eight minutes, in large part to their transition offense. They scored their first seven points in transition off of turnovers or running after rebounds. Throughout the game it was evident that the halfcourt offense was not working well and often times ended with a contested jump shot. The Red Storm made a push in the second half by pushing the ball up-court, but ended up settling for tough shots as the game winded down. D’Angelo Harrison, Rysheed Jordan, and Orlando Sanchez all are capable of running the break and Jordan had a great game as he got to the rim, hit some outside shots, and showed a nice pull-up jumper. Many talk about this team’s great talent, but their halfcourt offense is limiting their ability to use their athleticism. If the Johnnies want to win go from an under-achieving team to an NCAA Tournament one, they need to get out in transition, while they improve their offensive sets. Seton Hall can get out of the cellar in the new Big East: What a game! A great double overtime thriller on opening night. Seton Hall showed incredible fight and resolve yesterday as they saw their double digit lead dissolve in the final minutes. Some questionable calls did not help them in the extra sessions, but they made winning plays when it mattered. With starting center Eugene Teague our for the game, Kevin Willard was without his best post player. The Pirates forced the Friars into 14 turnovers, eight in the first half, which helped create most of the early offense. They limited Bryce Cotton to 1-8 from three and the Friars struggled all night to score. The win should give the team a ton of confidence going forward as Brian Oliver, Brandon Mobley, and Jaren Sina stepped up to make crucial baskets. Sina came off the bench in overtime to hit a three with two minutes left to spark the Pirates. Oliver was the player of the game as his hot shooting provided most of the offense in the second half and Mobley came up time after time, especially with his three free throws with a minute left. This team may have suffered injuries to every significant player thus far, but their win over a high quality opponent while shorthanded is impressive, and there is no reason they cannot build off this win. Joshua Smith needs to produce more offensively: The big fella came in and dominated in his first game against Oregon, but since he was beaten up by Kansas, he has struggled mightily, and yesterday was no difference. Against a smaller and inexperienced front line, he only had five points and one assist, without even recording a rebound. There is no reason why Smith, who has been heralded as an excellent low post scorer since he arrived in UCLA, should not average at least 10 points during conference play. The Hoyas have struggled at times to score so far and Smith is a player who can provide instant offense. He also can create for his teammates by attracting double teams and finding them. Smith needs to get to the line, to get opponents in foul trouble and also get some easy points. The Hoyas have a good team with many pieces that make a winning team, but they could use a player you can dump it down to and let go to work on the block. 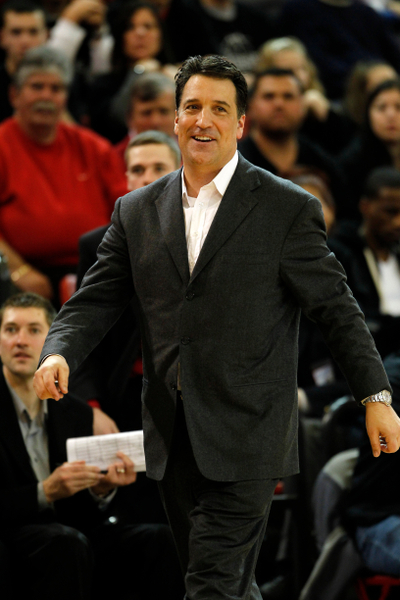 Is This an Older But Wiser St. John’s to Start Big East Play? Is St. John’s 8-4 record at this point last season versus their current 9-3 a true measure of growth for the Red Storm? According to coach Steve Lavin, the answer is no. The take on the Johnnies going into this season was one of a talented, but undisciplined, roster. Perhaps one of the two or three best teams in the conference, a squad capable of beating anyone in the Big East, but first they had to stop beating themselves. Granted, last year’s team was young with just over half a season’s worth of experience (0.64 years), but chalking their 17-16 record up to youth misses more than half the story. Suspensions, the most damaging of which was D’Angelo Harrison’s six-game hiatus at the end of the season — during which the Red Storm compiled an 0-5 record to close out conference play and crush any chance of an NCAA bid — was not the only example of time missed due to discipline problems. Baylor transfer Jamal Branch, eligible at the end of the fall 2012 semester, served a one-game suspension in early March, just over two months after first donning a Red Storm uniform. Just when you thought the conference realignment mumbo jumbo couldn’t get more confusing, news broke yesterday that the Catholic 7 will be starting their own league next season and they will be calling themselves the Big East conference. From what I can tell, the old Big East, now built around football, will be selling its name to the Catholic 7 and renaming itself something different. Meanwhile the Catholic 7 gets to keep a conference name that is synonymous with excellent basketball and plans to add Xavier, Butler, and probably Creighton as it establishes itself as a basketball-first conference. The move is being spearheaded by the Fox Sports Network which has promised the schools from the Catholic 7 a lucrative TV deal and is helping grease the wheels for their impending exit. Ignoring the ridiculousness of a television network being the driving factor in conference realignment (hardly a new idea) the best part of this news is that for once, we will have a basketball-first conference. The NCAA tried its best to make sure that St. John’s forward Orlando Sanchez never played a single game for the Red Storm, but in the end, the school and the talented big man won their appeal, on their fourth try. Sanchez has sat out the entire season while waiting for the NCAA to sort out his eligibility issues that stem from his time with a club team in the Dominican Republic. The NCAA denied his appeal three times and the Red Storm were actually forced to bring in seasoned litigators and threaten to go to federal court and now finally Sanchez is free to play…next season anyway. 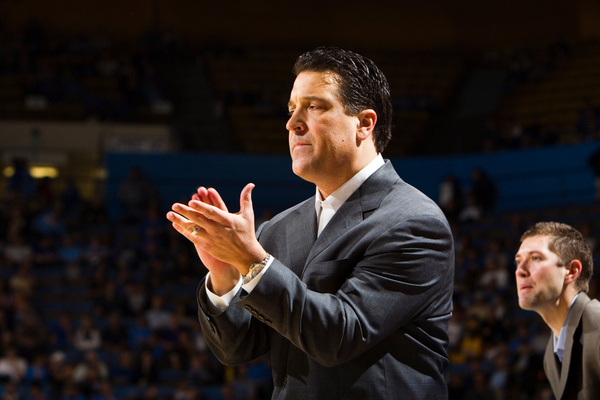 The news is great for coach Steve Lavin and his club. Sanchez will be 25 when he suits up next season and has impressed scouts with his size, versatility, and athleticism. The Johnnies have been sorely lacking an offensive threat on the interior and if they can put Sanchez on the floor with shot-blocking phenom Chris Obekpa, the Johnnies could be a dangerously balanced team next season. Not everything about UConn‘s double overtime loss to Georgetown on Wednesday was disheartening as mercurial sophomore forward DeAndre Daniels had his best game as a collegiate, finishing with 25 points and 10 rebounds for his first double-double. Daniels’ impressive performance was probably one part excitement for fans who have been waiting for the uber-talented underclassmen to live up to his hype as a recruit, and one part frustration as it is somewhat puzzling as to why Daniels hasn’t been able to have more games like this. The fact that a player of Daniels’ size and athleticism has just one double-double is somewhat absurd and only serves to highlight what a streaky player he has been this season. But assuming Daniels returns to school next season alongside the rest of his team, and assuming he continues to improve and get better, the Huskies could be a very dangerous team next season. The Pittsburgh Panthers are likely headed back to the NCAA Tournament this season after a one-season hiatus. But while it is a nice accomplishment and one that the team and coach Jamie Dixon should be proud of, the program has set the bar so high in the past decade, that the new questions about what it will take for Pitt to have serious success in the NCAA Tournament have already started to arise. Somehow, for all of their success and talent, the Panthers never made the Final Four under Ben Howland or Jamie Dixon, and they have made the Elite Eight just once. Most programs would take 11 tournament appearances in the last 12 seasons and boast about it for years, but Panthers’ fans expect more and Dixon expects more as well. Dixon really only has himself to blame for helping set the bar so high, but the program’s shortcomings in the NCAA Tournament are troublesome and rather glaring. They have never beat a higher seed? That is shocking given how good some of Dixon’s teams have been. This season will be another interesting case study because as much as advanced metrics love the Panthers and as much talent as they have on their roster, they have been inconsistent this season and they need to make sure that occasional complacency doesn’t spill over into the NCAA Tournament. At this point I feel like Bud Poliquin is just trolling the rest of us with his column. One day after a jumbled and meandering column about Jim Boeheim‘s decorum in press, Poliquin was back, republishing a column from 1989 that centers around Boeheim getting a little bit combative in a press conference and proves Poliquin was just as difficult to follow then as he is today. The man is an institution at the Syracuse Post-Standard and an excellent columnist, especially when it comes to Syracuse basketball, but the column from March of ’89, just like the column from the other day, doesn’t really make much of a point and contains so much flowery language and prose that it is very difficult to follow along. So let me try to synthesize what the previous two columns have been about: Jim Boeheim, coach of the Syracuse basketball team, can occasionally get a bit snarky with reporters when he doesn’t like their questions, and he has been doing this for years. While most relish the onset of Summer, college basketball junkies do not. Most of the news surrounding the sport is recruiting rumors and commitments or injuries and transfer news. In order to help keep folks up-to-date on what their teams are doing during the summer, we put together these summer capsules for each team in the conference. Next up is St. John’s. 1. It’s probably time to fill out the coaching staff. Former assistant and interim coach Mike Dunlap took the head gig with the Charlotte Bobcats and he left a giant hole on Coach Steve Lavin’s staff that still hasn’t been filled. Dunlap was considered an excellent tactician with a knack for developing young players and rumors are that the Red Storm will hire De La Salle (CA) High School coach Frank Allocco to fill the same role. Allocco has known Lavin since the latter’s days at UCLA and he has New Jersey roots, so the move makes a lot of sense for a number of reasons, but Lavin has said he won’t make a final decision until August. The Red Storm have dealt with plenty of upheaval in the last two years, so an absent assistant coach won’t faze them, but Lavin would be wise to get the deal done as soon as he feels comfortable so that whomever he hires can start recruiting and coaching. 2. Looking good Steve! Feeling good team! If you don’t get the reference, go rent Trading Places and thank me later. Lavin went through prostate cancer surgery last season and despite his attempts to return to the bench, fatigue and treatment got the best of him so that he spent most of the season away from the sidelines. Now Lavin is healthy, tearing up the recruiting trail like only he can, and preparing to patrol the sideline for a St. John’s team that should engender a lot of optimism from their fan base thanks to the amount of returning talent on the roster. Now the question becomes exactly how healthy is Lavin? He already proved that he can overcome the nagging questions about his health on the recruiting trail, but if the questions come back he may not be able to overcome the uncertainty again. More importantly, he needs to be on the sideline. The players on his team committed to the program in large part because of Lavin and his personality; one can assume they would like to play for the coach who recruited them. With three weeks having passed since Kentucky snipped the nets in victory we here at RTC Big East are officially in withdrawal and already cannot wait until the 2012-13 season tips off. However, we understand that things tend to slow down a bit over the summer months and will just have to cope. That said there will continue to be plenty to discuss from week-to-week so we are happy to introduce the Big East Weekly Five. Think of it as the Morning Five’s lazy cousin. You know, that cousin who doesn’t show up as much as some of the other relatives, but always seems to grace you with his presence if there is free beer? The Weekly Five will continue throughout the summer and its goal is to provide similar content as the Big East Morning Fives that you have come know and cherish. In keeping with the desire of many to slim down for summer, there will just be less of us to love. 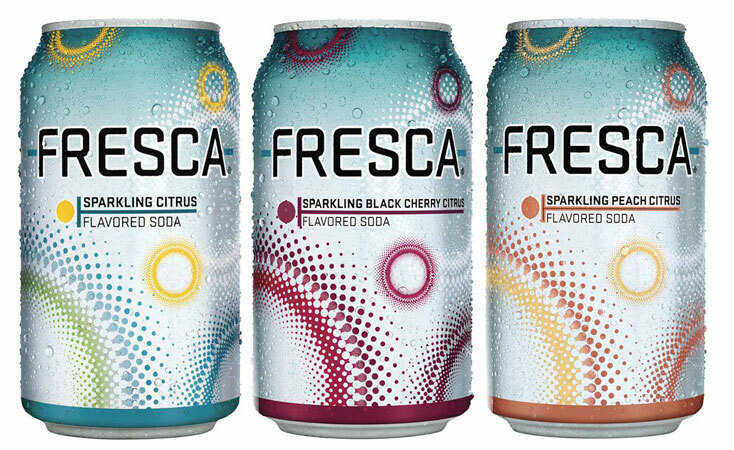 Still, just because we are getting lean and mean does not mean cutting back on the Fresca! 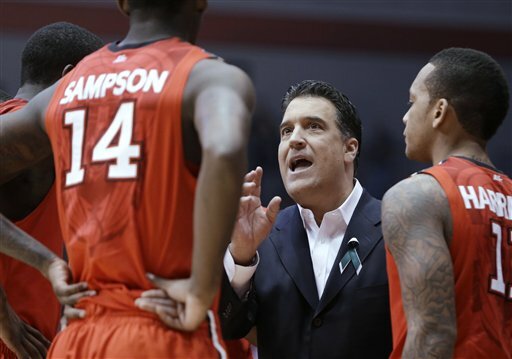 Recruiting is the name of the game in the spring and summer, especially if you are St. John’s head coach Steve Lavin who coming into the weekend had five open scholarships for next year burning a hole in his pocket. What a difference a few days makes as Lavin and St. John’s scored three solid commitments when Harvard transfer Max Hooper joined Monroe (junior) College teammates Marco Bourgault and Orlando Sanchez in pledging for the Red Storm. All three players were on the Queens campus over the weekend — Lavin just needed to seal the deal. Bourgault and Hooper are shooters who will be tasked to help St. John’s stretch the floor with their ability to hit it from deep. The 6’6” Bourgault averaged 10.9 points per game for Monroe and made 42% of his three-point attempts. Hooper, also 6’6”, appeared in just two games while at Harvard and did not make the only shot he attempted. Fittingly both shooters will have three years of eligibility, although Hooper will have to first sit out a season under NCAA transfer rules. The 6’9″ Sanchez may represent Lavin’s biggest coup of the week as he fought off Big East rival Providence and the always persistent Ed Cooley in a battle for the big man. Sanchez will have two years of eligibility remaining. Seton Hall appears to have filled the significant void vacated by graduating star point guard Jordan Theodore as Texas transfer and Seton Hall Prep alum Sterling Gibbs will be coming home to suit up for the Pirates. The addition of Gibbs solidifies Seton Hall’s lead guard position, but the real kicker for head coachKevin Willard is that he may have Gibbs at the controls this coming season. Gibbs has applied for a hardship waiver that, if granted, would allow him to avoid sitting out next season per normal NCAA transfer rules. The basis for the hardship waiver request is reported to be a family member’s illness. In Gibbs’ freshman season in Austin, he played in 30 games averaging 2.6 points and 0.7 assists in 7.5 minutes per game for the Longhorns. While players appear to be headed to St. John’s in droves, the exit door at Connecticut is getting an intense workout. Faced with the reality of not being allowed to play in next season’s Big East and NCAA Tournaments due to his program’s failure to meet NCAA Academic Progress Rate (APR) standards, sophomore forward Roscoe Smith became the latest to leave the program when he indicated he will transfer over the weekend. Smith, who averaged 4.4 points and 3.4 rebounds in 18.2 minutes per game this past season, joins fellow transfers Alex Oriakhi, who has since committed to Missouri, and Michael Bradley, along with Andre Drummond and Jeremy Lamb who declared for the NBA Draft. Bradley, however, may ultimately opt to remain in Storrs as his primary reason for requesting a release from his scholarship is to explore options around moving closer to his ill grandmother. 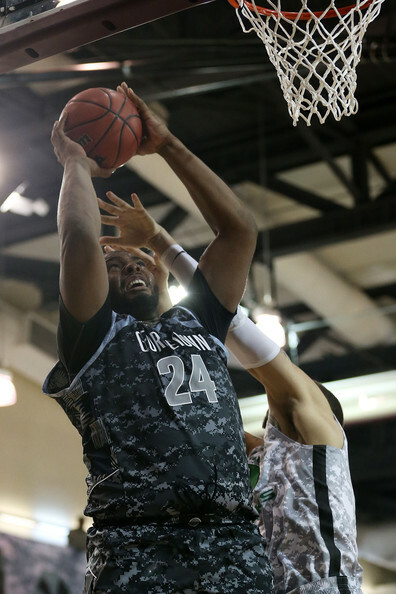 The 6’10″ forward was scheduled to meet head coachJim Calhoun yesterday to discuss his future. The NCAA defended its position on Academic Progress Rate (APR) guidelines when it responded to a letter written by six members of Connecticut’s legislature that said banning the Huskies from NCAA Tournament play next year represented too harsh a penalty. The crux of the letter echoed the university’s appeal-losing position, stating that the APR calculations are not fair because they incorporate performance dating back four years when no one on the current roster was on the team. NCAA spokesman Bob Williams countered that the standards have been in place since 2006 and Connecticut knew the standard by which they and all other schools and teams were being measured.